Take advantage of our latest offer from Thursday 14th February. 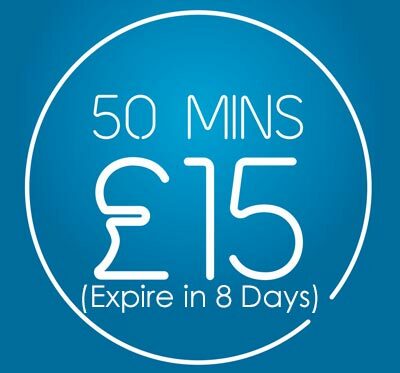 For a limited time you can purchase 50 minutes for just £15. You have 8 days to use the minutes so take advantage soon. Note this offer is not applicable to our Cardiff Pentwyn and Cardiff Rumney salons as they are still on a special offer price of just 25p/minute. Minutes purchased must be used within 8 days. (Please note the 8 days includes the day of purchase).